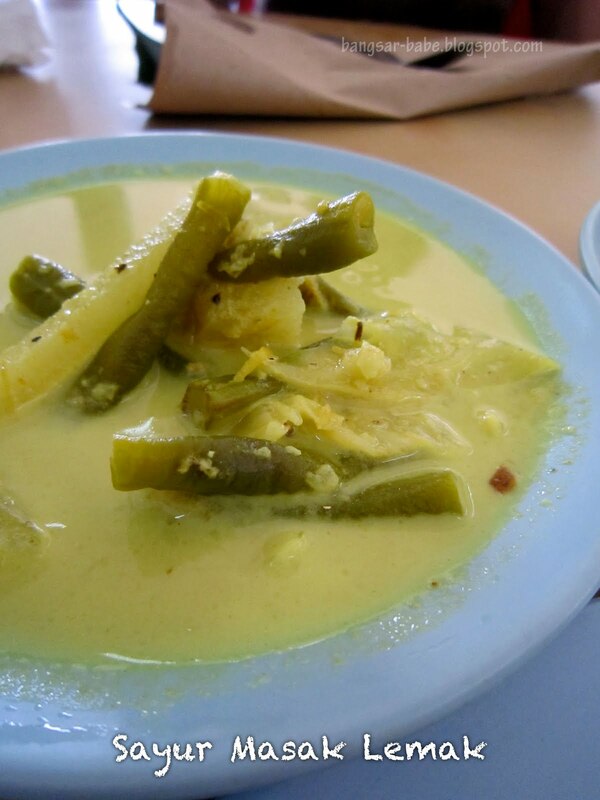 Kuantan is relatively alien to me when it comes to food, except for a few regular eating places such as Hoi Yin Curry Mee and Ana Ikan Bakar Petai. However, Rif and I decided to stop for a night in Pahang’s capital after a good beach vacation at Perhentian Island. The next day, we tried the much talked about Cendol Air Putih, also known as the Kuantan Cendol. Since it’s a small shop along the main road, you will need to keep an eye out for it. Rif ordered the cendol pulut (RM1.80) while I got greedy and ordered the cendol campur pulut (RM2). Turned out, my greed served me no good. 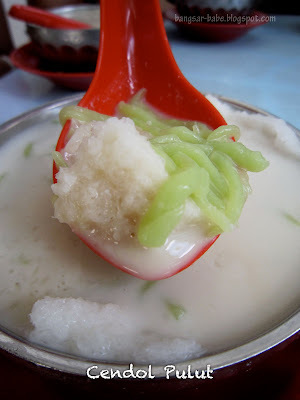 My cendol was nothing to shout about — the mixture of ais kacang ingredients didn’t do justice to the cendol strips. Rif’s cendol tasted much better. The cendol strips had a mild salty flavour which enhanced the richness and sweetness of the coconut milk and palm sugar mixture. 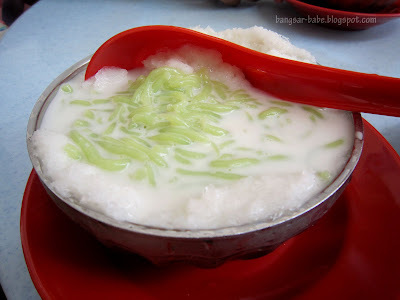 One of Rif’s friends had the cendol kacang (RM1.70) and it was also tasty due to the well-marinated beans. 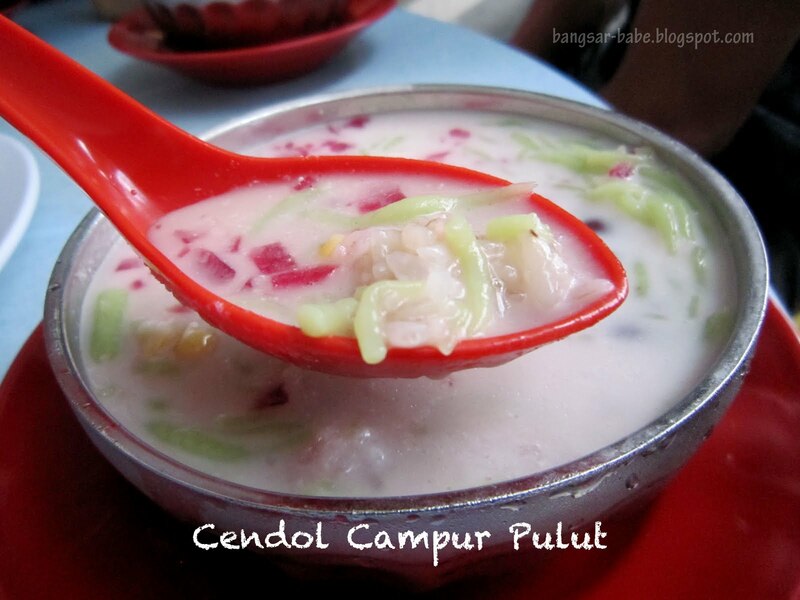 While this isn’t the best cendol I’ve eaten, it is however, one of the good ones around. We also tried the karipap, pulut ikan and temosa (RM0.50 each) on display. These were just average in my books. It’s best to just stick to the cendol. 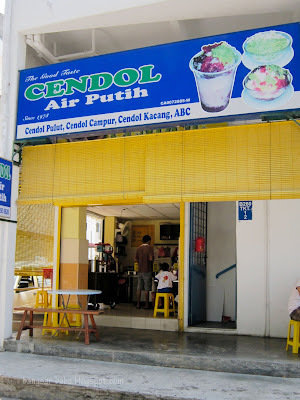 I heard of another cendol place in Kuantan called Mustafa cendol, but since we were pressed for time, I shall leave it till my next visit to Kuantan. Next, we had lunch at Restoran Zaman. This restaurant is reputed served the best nasi lemak in Kuantan and it is advisable to get there in the morning (the restaurant opens at 6am), as the rice sells out fast. According to Rif, they serve pretty good mee jawa and mee soto but all were sold out by lunchtime that day. For RM1.70 per small packet, I found the nasi lemak expensive. 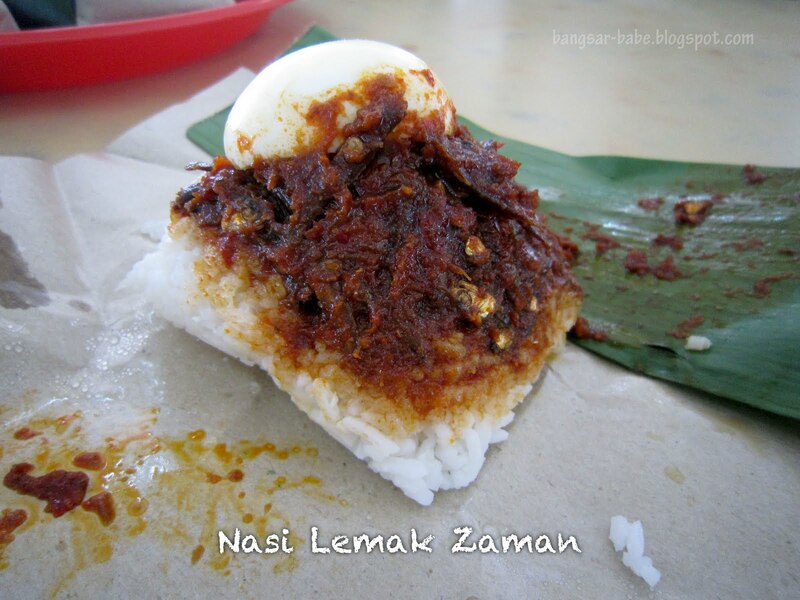 Heck, I’m already complaining when I pay RM1.30 for a packet of nasi lemak in KL, so what more, RM1.70? 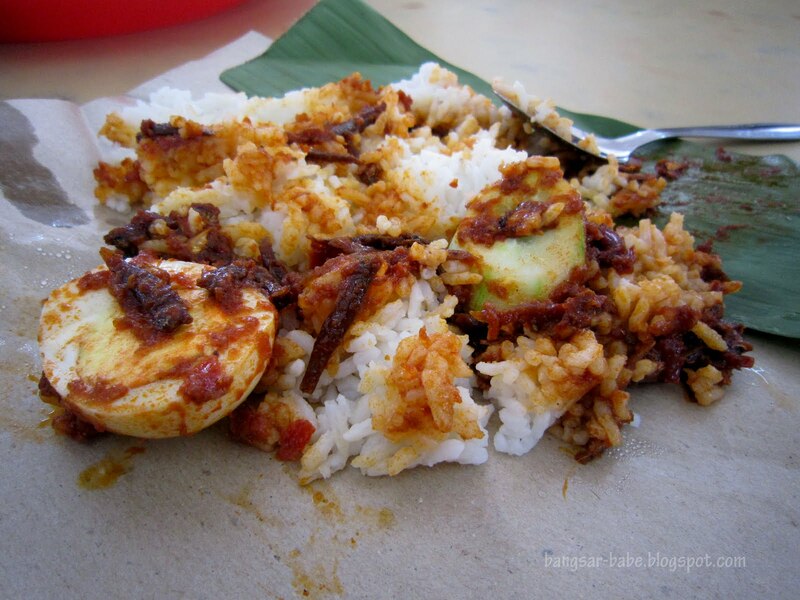 In all fairness, the nasi lemak was delicious. Plenty of coconut milk was used in preparing the rice, resulting in its delicious creaminess. Apart from being ‘lemak’, the rice had a fragrant aroma from the addition of lemongrass in the cooking process. The sambal packed a wallop of flavour. 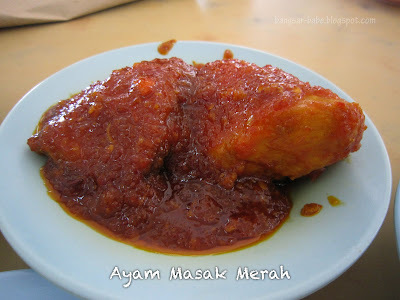 Cooked using cili giling, it was spicy and sweet with a lingering aftertaste. Even the banana leaf wrap played an important role; it imparted a nice fragrance to the nasi lemak. Good stuff! 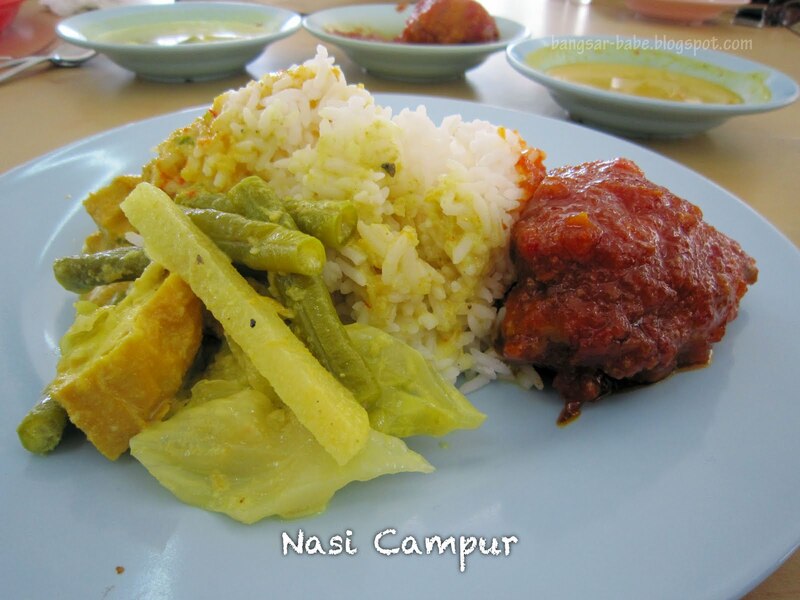 I would have eaten two packets, but decided against it as I wanted to try their nasi campur too. I piled my plate of white rice with some ayam masak merah (RM3 per piece), kari perut (RM1.50) and sayur masak lemak (RM1.50). 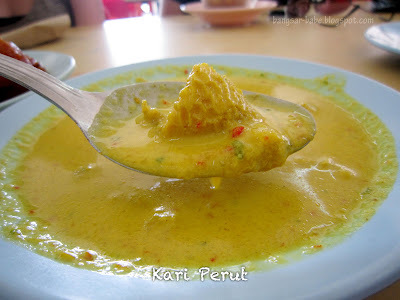 Coming from someone who isn’t a fan of innards, the perut was delicious. Tender, slightly chewy and nicely flavoured by the curry gravy, this went really well with white rice. Don’t underestimate the colour of the curry; it was rather spicy. I found the chicken a tad too sweet for my liking and didn’t care much for the sayur masak lemak. After lunch, we stopped to buy some keropok lekor and keropok ikan from the stalls along Jaya Gading. If you’re too lazy to buy the uncooked keropok lekor, just get the freshly fried ones like I did. 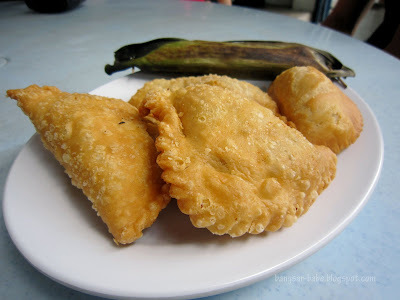 At the end of this trip, I found a few more food places in Kuantan which I plan to try. So this isn’t the end of my makan spree in this state. 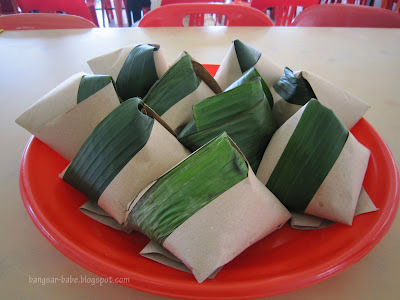 If you have more food recommendations in Kuantan, do share them with me! 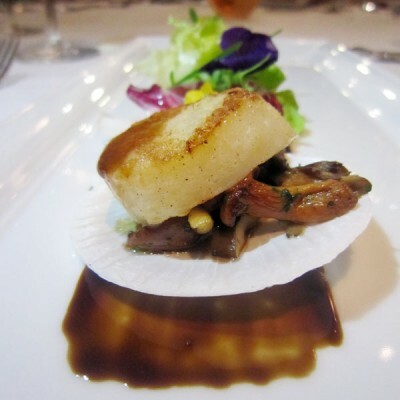 So much good food in your trip! Yeah, I do agree that a packet of nasi lemak for RM1.70 is quite expensive. But since it tasted good, it's worth it I guess. 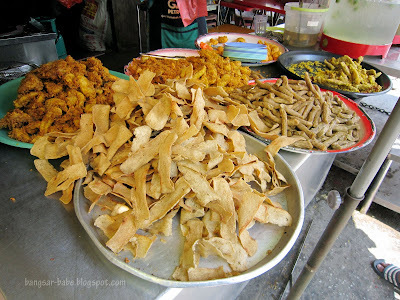 So many different types of keropok, I wanna try them out! 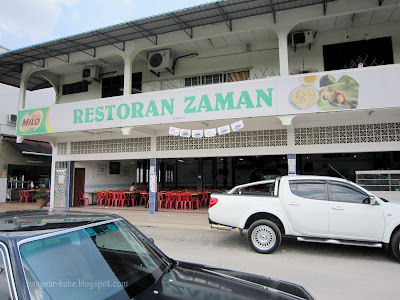 Great article and helpful too…I am in Kuantan right now and off to try the Nasi Lemak Zaman!